The Ambassador of Ireland, H.E. 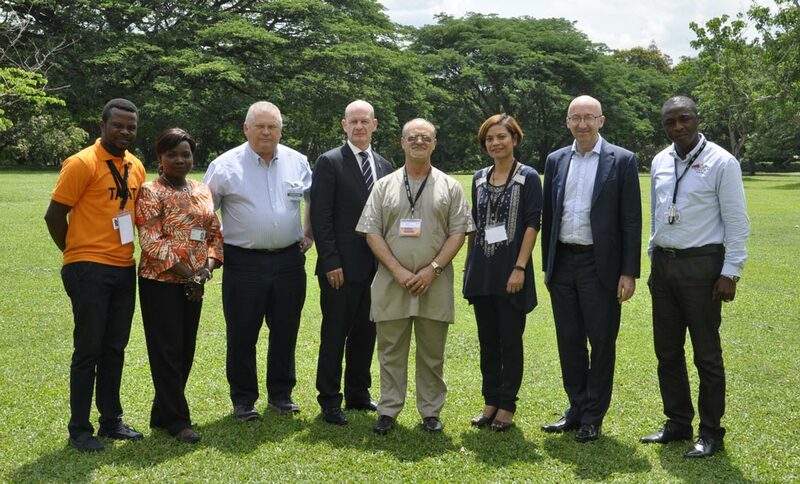 Seán Hoy, accompanied by David Butler, Director of Sustainable Food Systems Ireland, and Patrick Boyle, Consultant, were in IITA on 13 April to explore potential collaboration between Ireland and the Institute. L-R: Dare Odusanya, Winifred Akinpelu, Patrick Boyle, H.E. Ambassador Seán Hoy, DDG Kenton Dashiell, Katherine Lopez, David Butler, and Layi Olatunji. The visit included a brief meeting with Kenton Dashiell, Deputy Director General for Partnerships and Capacity Development, and a tour of IITA facilities including the Business Incubation Platform (BIP), specifically the pilot plants of Aflasafe, NoduMax, and GoSeed; the cassava processing facilities; and the fish ponds of the Youth Agripreneurs. 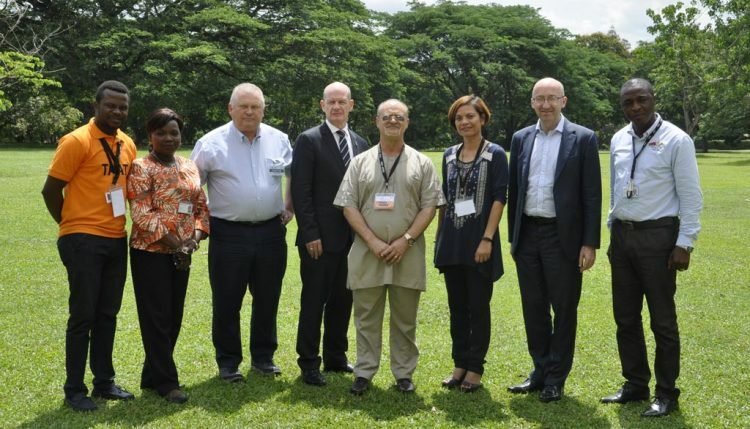 Ghana and the Economic Community of West African States, and the Ambassador-designate of Ireland to Senegal.